The South Australian Cricket Association has today been awarded the right to host an Indian Test match at the redeveloped Adelaide Oval in 2014/15. SACA President, Ian McLachlan, said “Thanks to the efforts of everyone concerned, including the government, Adelaide Oval is now one of the best venues in the country”. “It will deliver a superior spectator experience along with the best standards in facilities and amenities in Australia,” Mr McLachlan said. Since 1999/00, Adelaide Oval has delivered the third highest Test attendances behind only the MCG and SCG. After the Ashes, the Indian team tours are the most popular in Adelaide. Close to 105,000 cricket fans flocked to Adelaide Oval to watch the Australia v India Test match in January 2012 and another 23,000 watched the two teams play in a One Day match just weeks later. 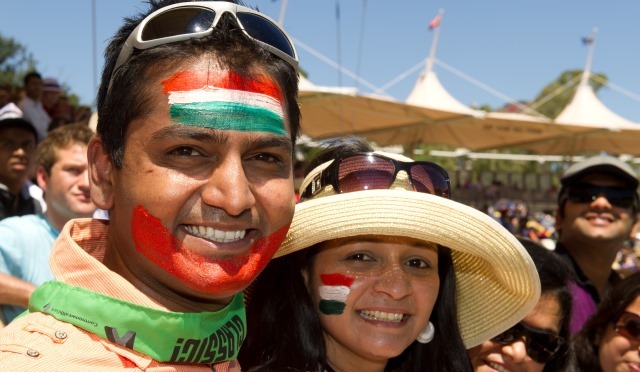 Since the 2003 tour, more than 320,000 cricket fans have watched India play cricket at Adelaide Oval.